Joke Lanz (Sudden Infant) & Rudolf Eb.er (Runzelstirn & Gurgelstock) bite, chew, smack, gulp and slurp in order to tickle your ears and your digestive system. 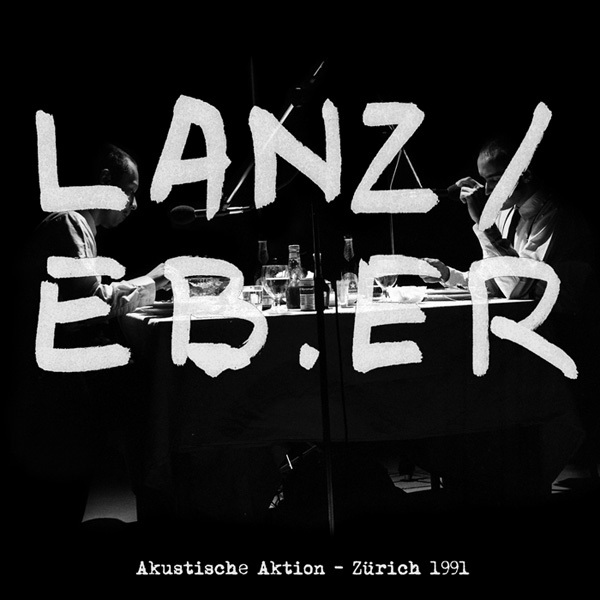 Instead of decay and corruption, Lanz and Eb.er deliver a true and undiluted composition of this existential act of annihilation. We believe that, what we are doing, is right, because we are endeavouring to remain true. We want to create no false illusions, no sickly aesthetic or anything beautiful. We want to find things that we are not even looking for and we wish to unite them together to form a new reality.” – Joke Lanz & Rudolf Eb.er, 1991. 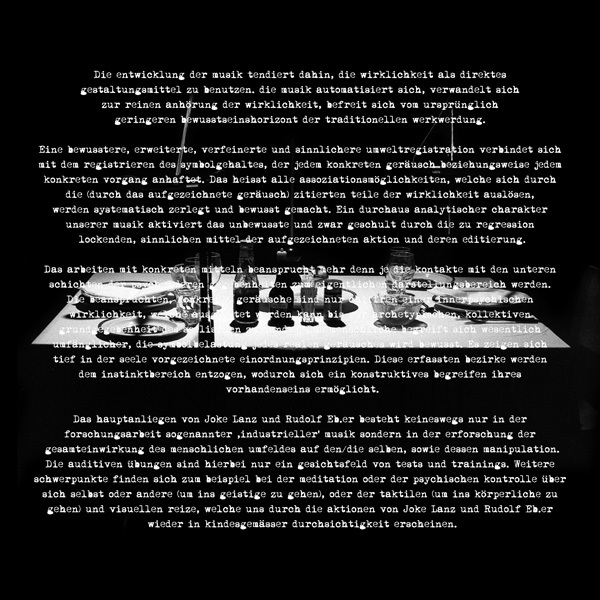 This historical document of an early Schimpfluch Gruppe performance is an absolute must for fans of actionistic noise and performance-art. The Lp is mastered and cut by Rashad Becker at D&M, pressed on 140g vinyl and is packaged in a pro-press folded cover including all information and photos which itself is housed in a silk screened PVC sleeve with the text from the original documentation of the performance. Limited art edition to 200 copies.